Olivet Institute of Technology (OIT) has recently upgraded their Learning Management System (LMS) with plans for improving faculty and students' performance evaluation. 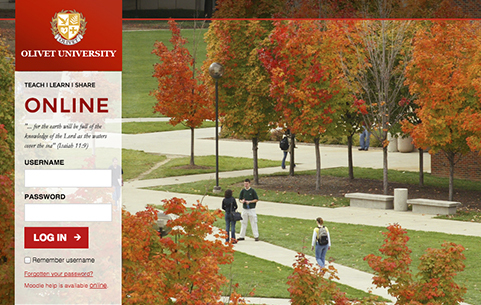 Olivet University utilizes Moodle to assist in managing class feedback and grading systems. A new upgrade allows teachers to more efficiently grade students' activities in one place for different courses. Meanwhile students will have access to obtain an overview of all their grades. "The Moodle upgrade not only fixed issues in the previous version but provides a modern grade interface that scrolls well on all devices, " said OIT Assistant Director Ray Lei. "It creates computer-based analytics with a new tool called Events Monitor that can notify teacher and admin when certain patterns of behavior are detected," he added. OIT aims to provide the best education for talented people and equip them to utilize the latest information technology effectively for Christian ministries in the post modern internet era.